The temptation to be as lazy as american tv producers and just do a clip show is there…. but in reality if anyone was that interested they could just go check the previous 299 posts themselves…. I thought maybe more a preview than a review? Get down in ink (pixels) where I want to go next…. 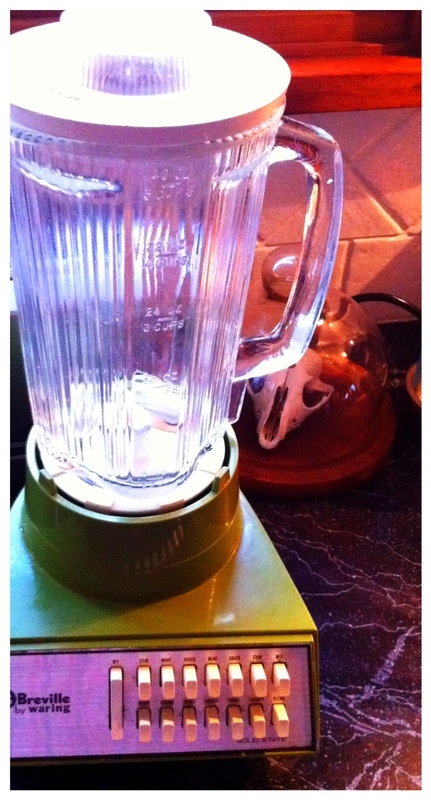 Mix things up a bit….. So from that you can safely assume the bad puns will continue… and also a more serious workload too…. There will be some overlap, and a more detailed brief for each, and obviously during the non creative ones (Smoothies) I will also be doing things to keep distracted from the hunger…..
A short course involving Latex, that requires going to Sydney once a week for 2 months. Pay No Attention to the Man Behind the Screen….. In my continuing mission to get 10 pound of comfort into a 5 pound bag, today I addressed the lack of an elephant in the room…. 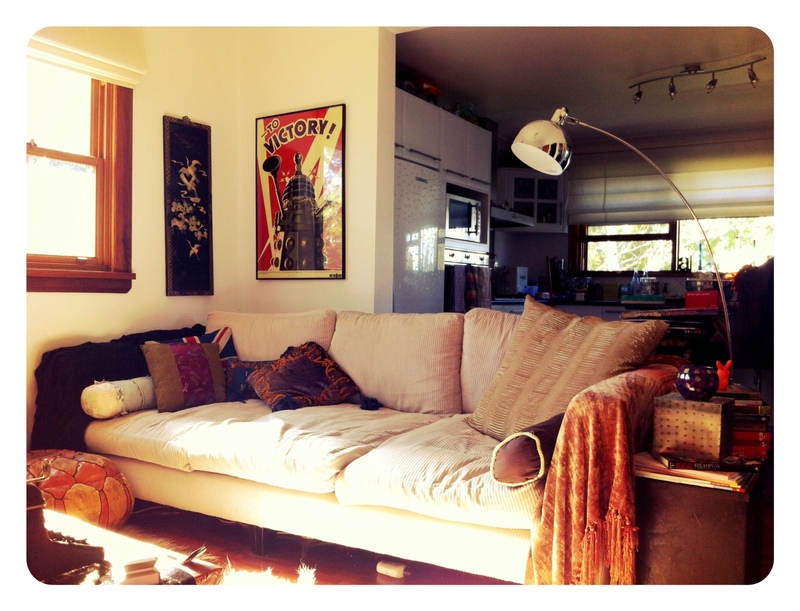 The lack of separation between the kitchen and lounge room…. 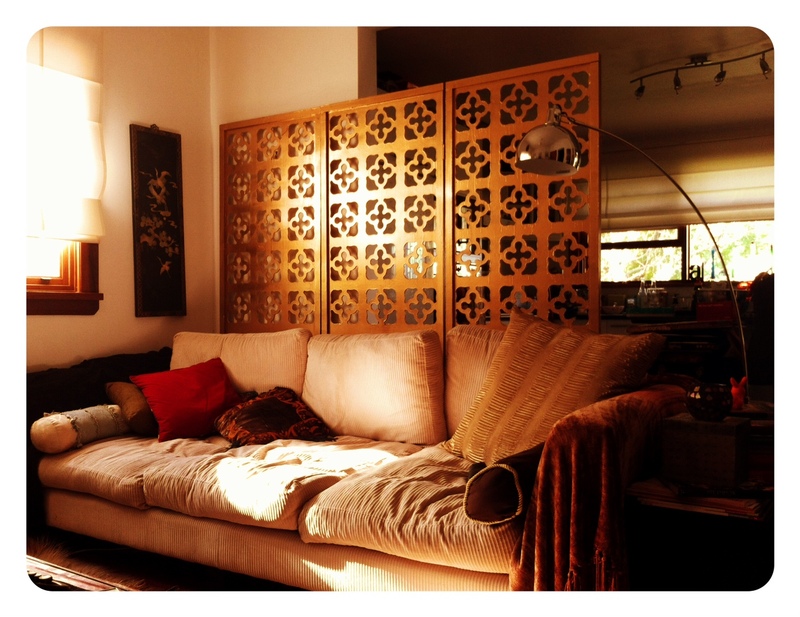 If I had decided to use the lounge as the dinning room the open plan design would not be an issue…. I didn’t….. and it did….. Take one brown and beige screen…. 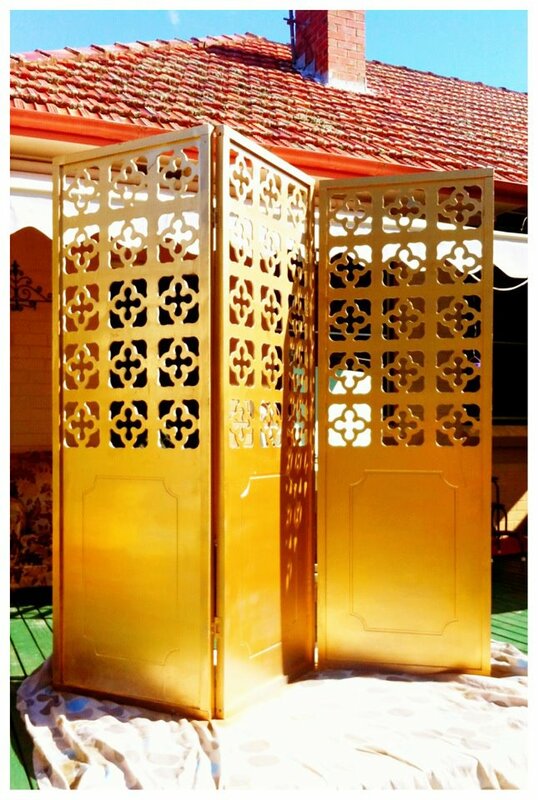 ….. and add 6 cans of gold spray paint…. SHINEY!!!!….. Lets see if I can squeeze on more item into this room without it hitting the Nanna threshold…..
We have separation…… and a warm glow to the whole room…. and an obstructed view of the dishes in the sink…. it’s a winner….. 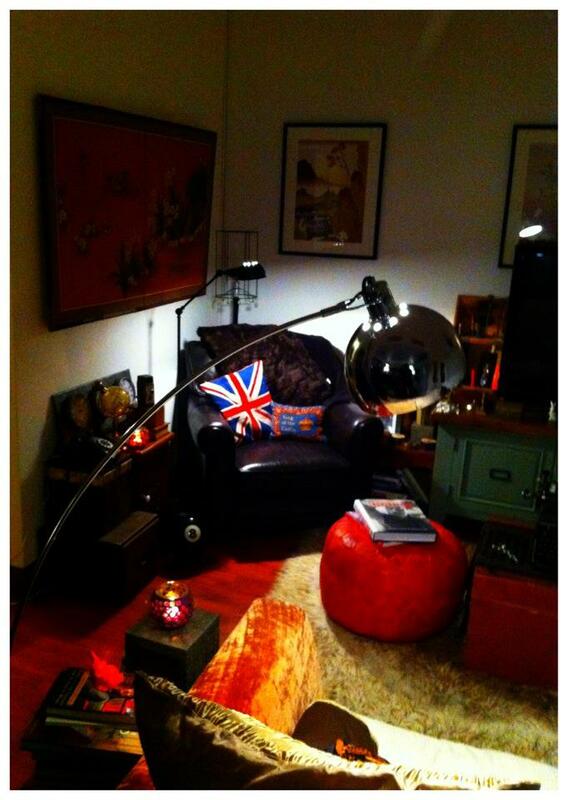 Needs more Cowbell….. or Lamps?….. Some pretentious hipster was going on about over styling, misquoting Coco Chanel : When accessorizing, always take off the last thing you put on….. Hmm that really doesn’t fit with my needs more cowbell attitude of decorating…. If I was to follow the Coco, I would remove the Mock-Arco…. My solution is to throw even more things at the problem…..
Much better…. amazing what a difference an old phone, an industrial lamp, some glass candle holders and a bowling ball that looks like a 8 Ball can make…. Like I said my style of decoration isn’t for everyone…. but sometimes more cowbell is just what you need…. The Nirvana Principle…..Not the Band…. I am not in a blogging mood…. or at least not in a mood where blogging is a good idea… I am in a state of flux that doesn’t sit well with my usual desire for people pleasing…. 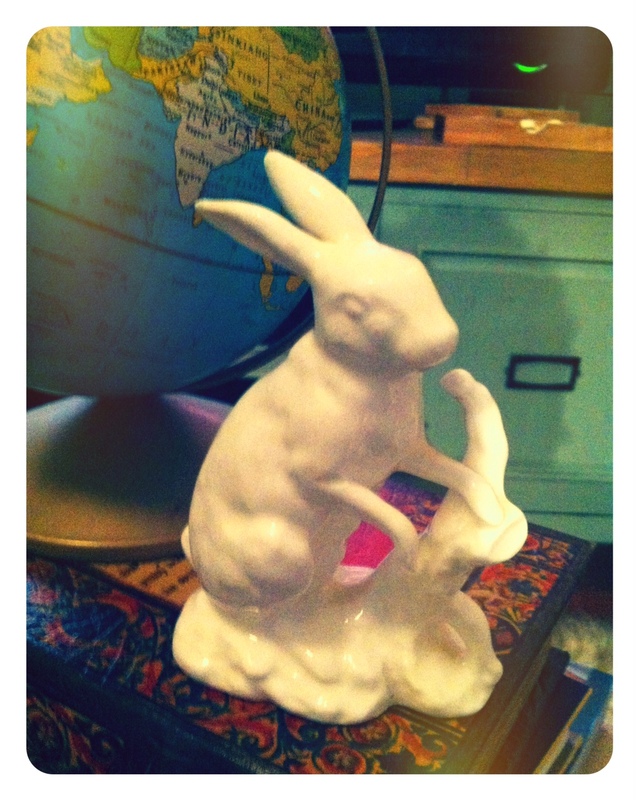 So instead I will show you some pictures of things I bought today…. 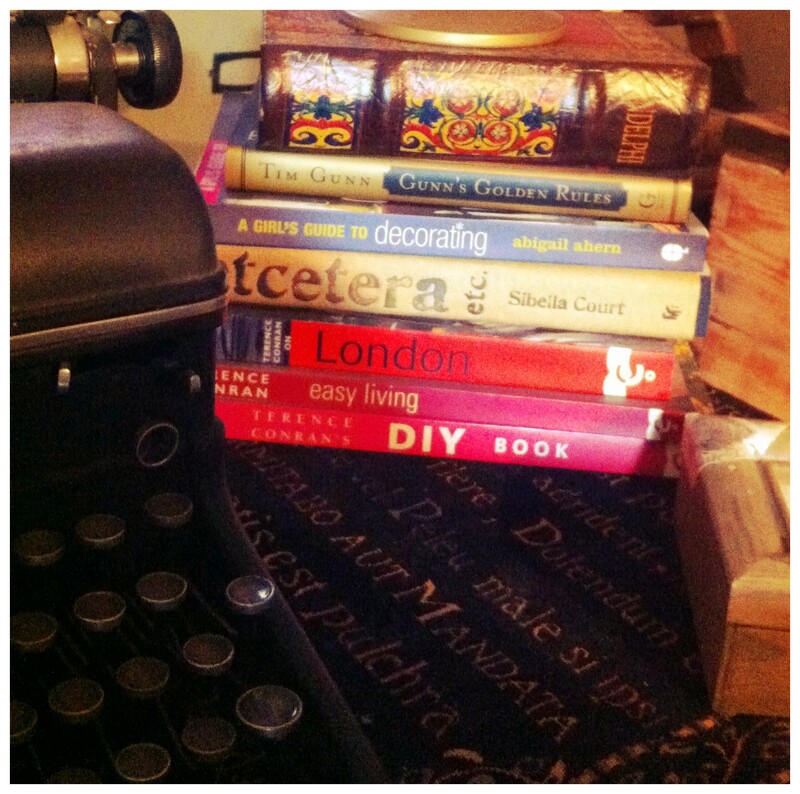 ….and some books…. 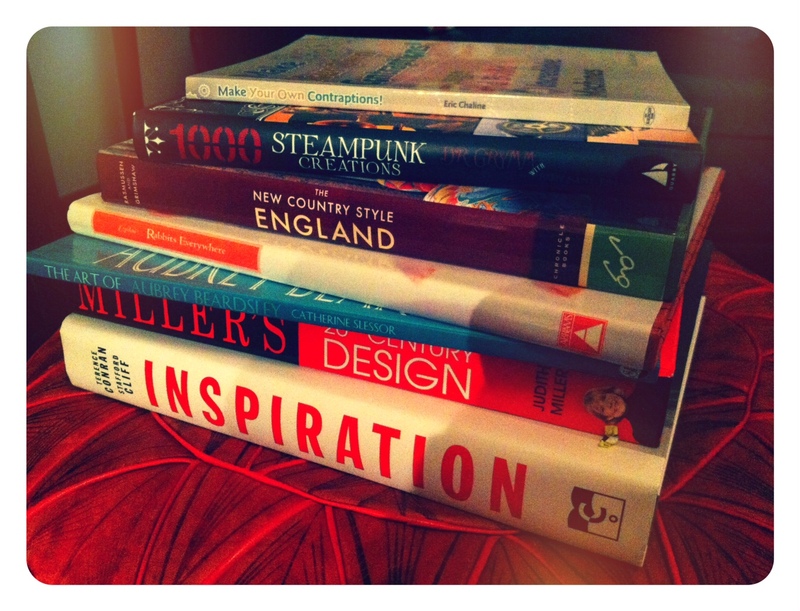 some very good books….. I do love to read…. and look at pictures too…. 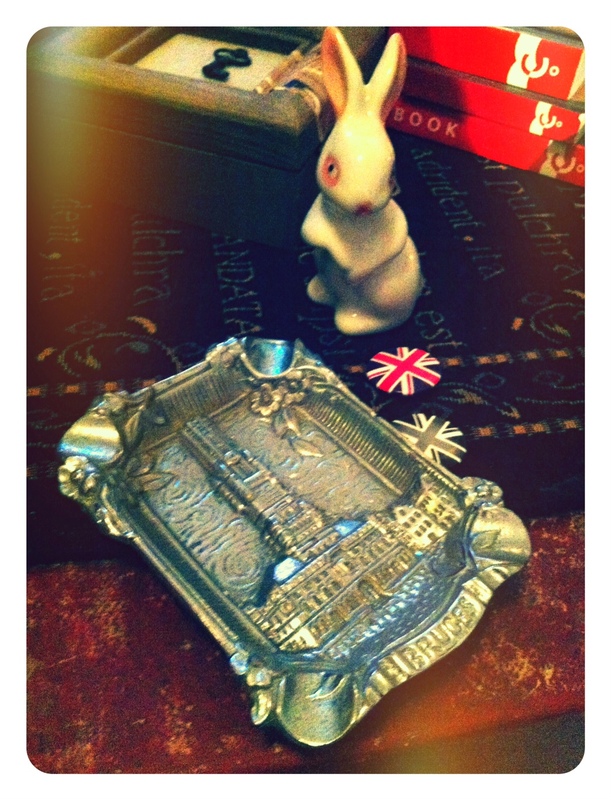 and of course more rabbits….. I am going to go vent elsewhere I think…. 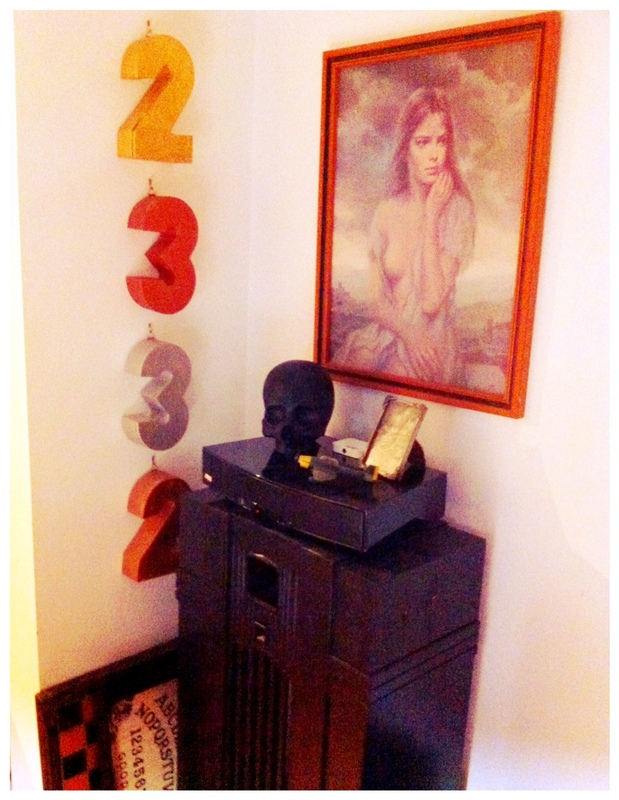 Lily Allen is cranked and the vodka is gone…..
Day 21 – Adventurer Chic Lounge Room…. 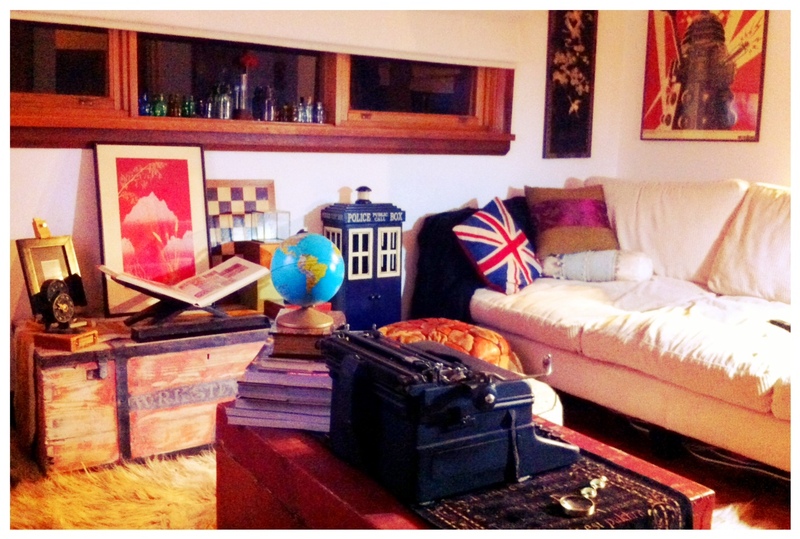 I have finally got my lounge room comfortable…. The idea was a bit grand tourist meets time traveller…. or something like that… So day 21 became a day for pulling all the elements of this room together…. 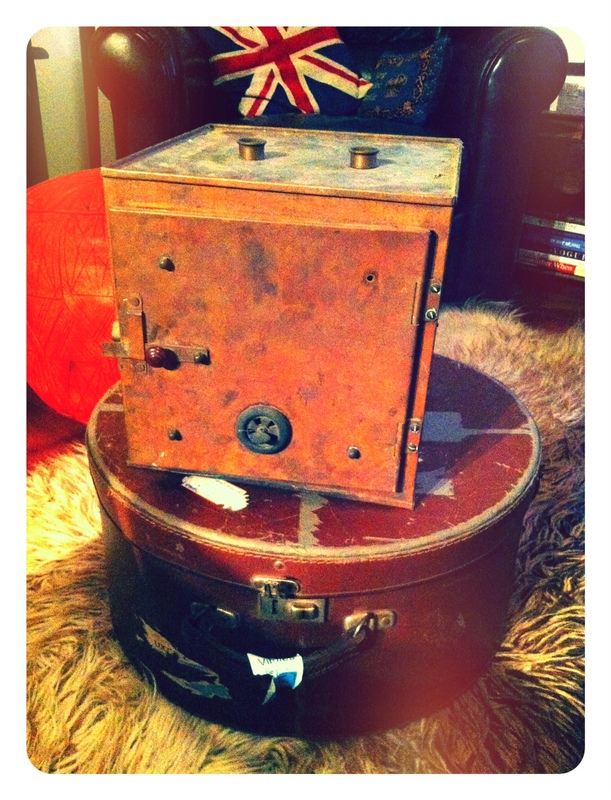 Vintage is not dead, but buying it off the peg is…. 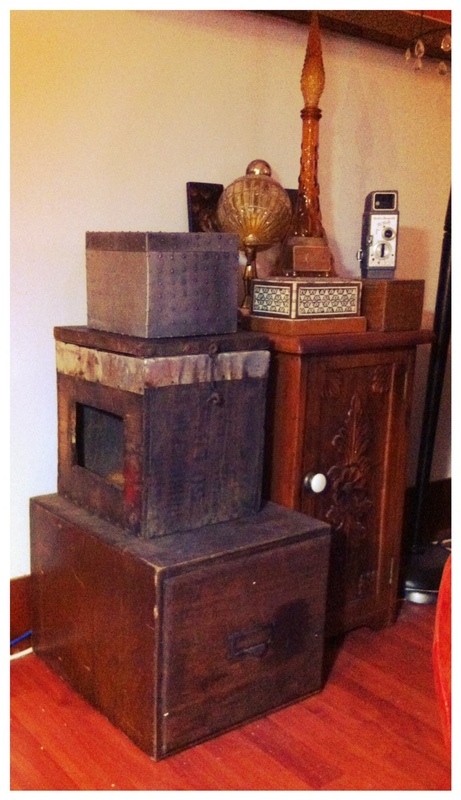 Filling your house with stuff that looks “vintage” is just as twee as any knock-off Matt Blatt shopping spree…. 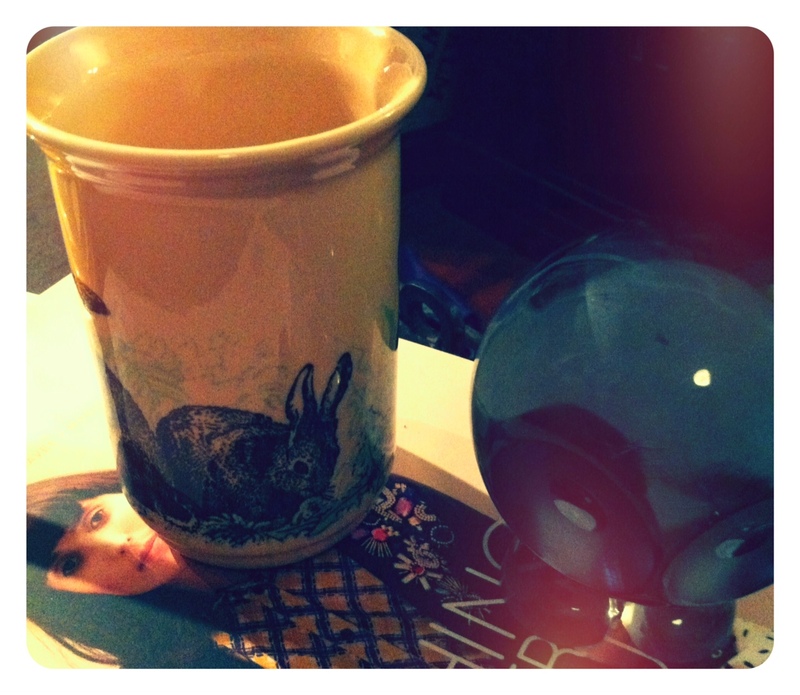 I have reached the point with this room that it is filled with things I have found, and I love to look at…. …. 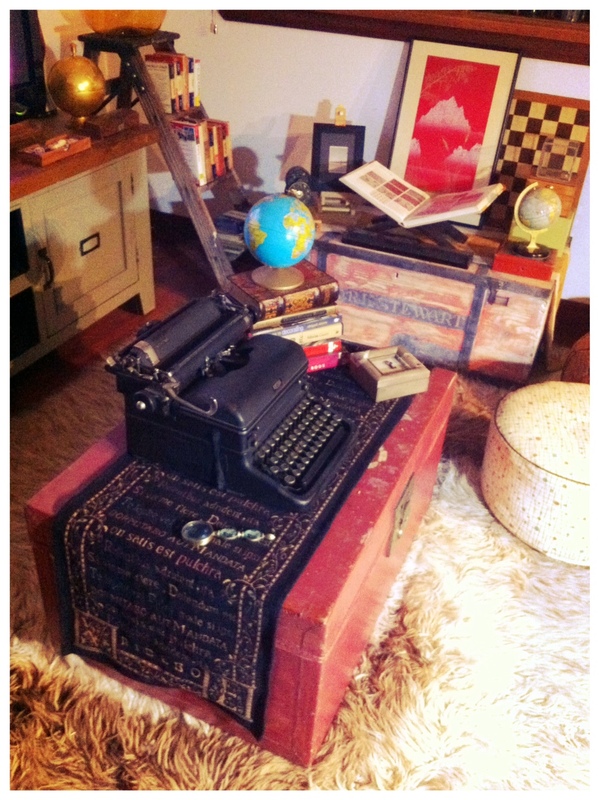 Al though it may scream affectation, the typewriter is functional…. and useful for making labels…. 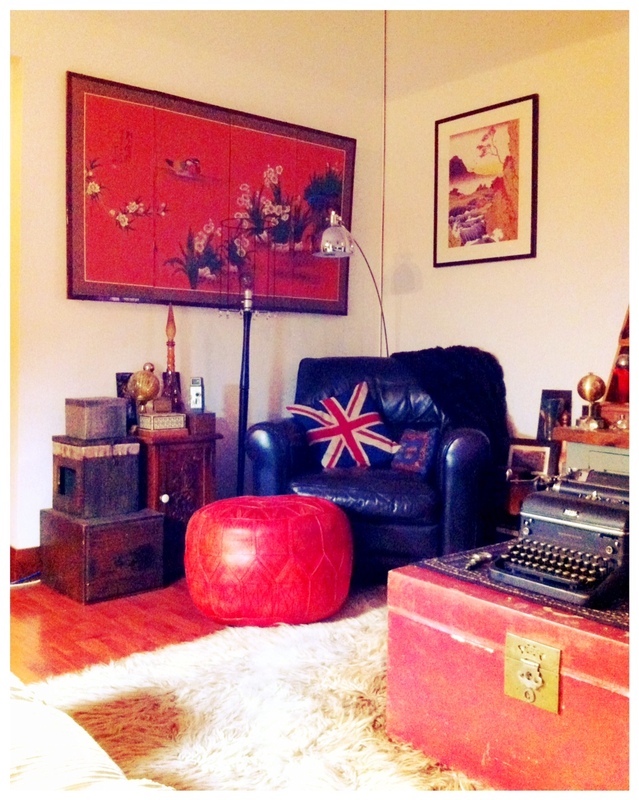 My reading corner is still my favourite part of this room… The ox-blood Moran leather arm-chair is still my favourite pieces of furniture and has travelled with me for 10 years now…. The diagonally opposite corner is also becoming a favourite too…. it is movie viewing nirvana…. and responsible for quite a few high quality naps…. 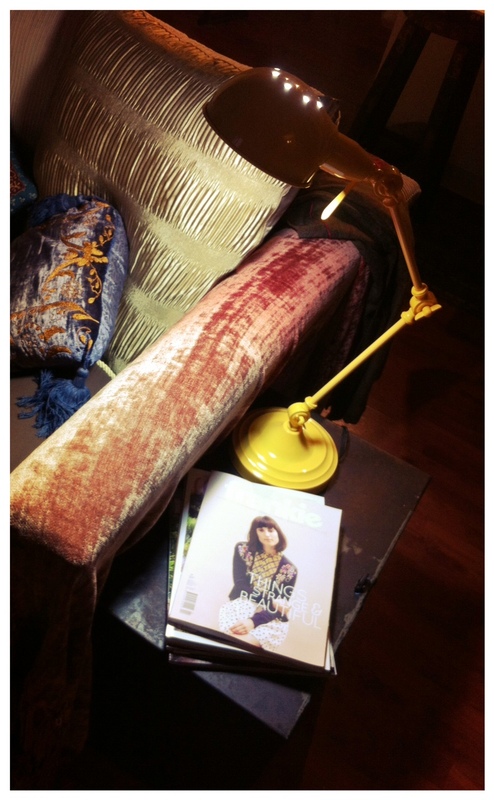 The other end of the couch now has a steel trunk that holds spare rugs and pillows… and serves as a great place for my lighter reading and this awesome sunburst yellow lamp…. I know this room will not be to everyone’s taste….. but it is very much me…. It is not a fancy suit to impress or intimidate…. It is a cosy old sweater that bulges it all the right places…..